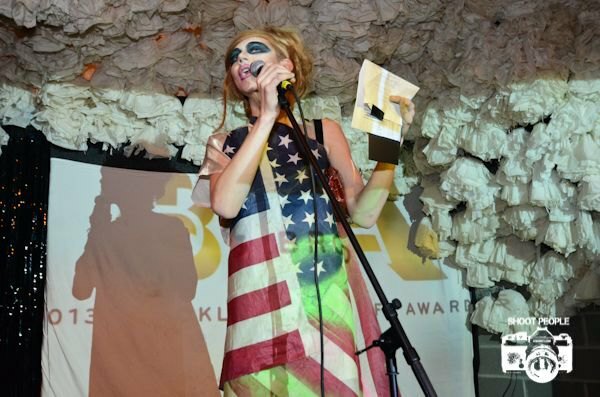 Brooklyn Nightlife Awards were the culmination of this past year’s talent, performance art, creative expression and entertainment in one of the city’s, and nation’s, most talked about and most artistic places, Brooklyn. 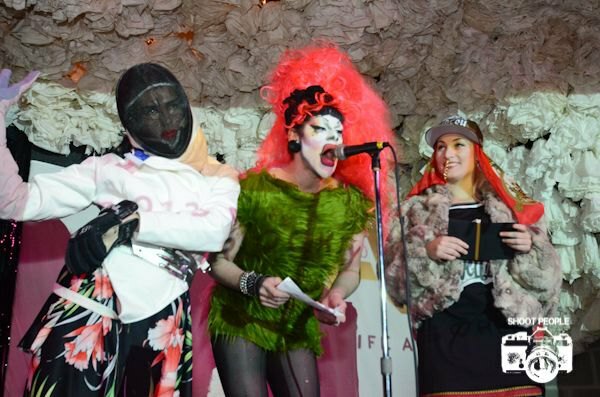 Hosted by the hilarious and seasoned Murray Hill and the creator of the event Merrie Cherry (Jason Daniels), the Brooklyn Nightlife Awards took place at the Glasslands Gallery on 289 Kent Avenue in Williamsburg. Beneath the beautiful cloth-cloud installation known as one of Glasslands’ iconic art pieces, the stage was lit up by Merrie Cherry’s gorgeous, flowing red gown. To the right of the stage, the talented DJ Anthony Dicapua kept the music in sync, entertaining and on point throughout the entire night. As Murray Hill facetiously noted, “We’re in a warehouse with Christmas lights! This is the big time!” Everyone in attendance dressed to stun. Ensembles ranging from virtually nothing at all to layers and layers of fur, designer jackets, studs, feathers, rhinestones, masks, makeup, metal, and even cardboard formed an idyllic landscape of the diversity of styles in and around Brooklyn. 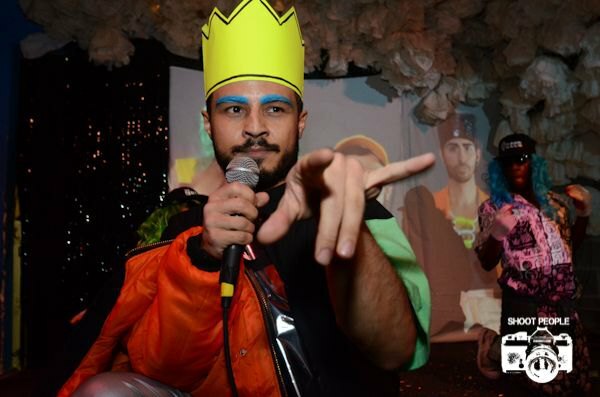 The performances by Ab Soto, Horrorchata, Krystal Something Something, Zebra Baby, and Di Ba were flawlessly representative of the grungy, risqué and artistic feel of the Brooklyn Nightlife while merging those attributes with the production quality befitting an award ceremony. 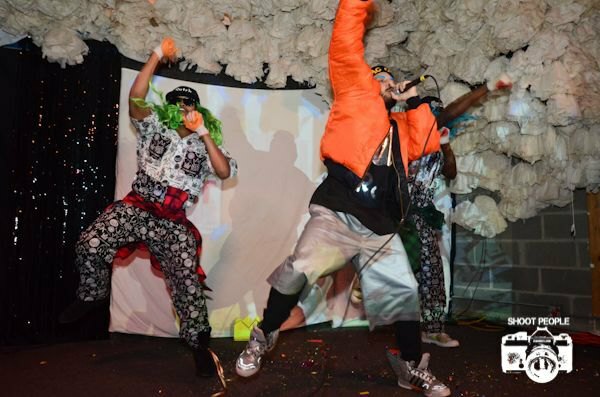 The diversity of the performances paralleled the extensive spectrum of styles and personalities that made up those of the people in attendance. The Brooklyn Nightlife Awards were also one of the most inclusive LGBTQA events I’ve attended since I’ve lived in Brooklyn. 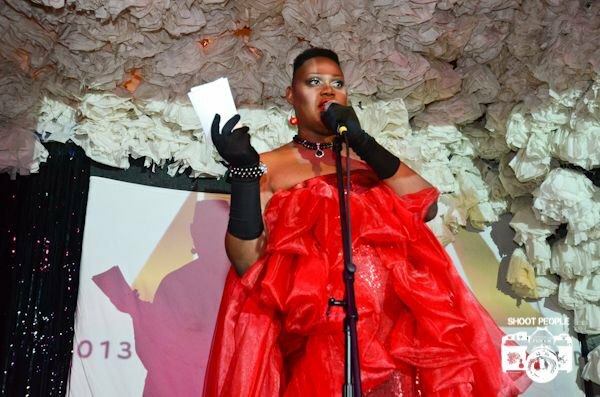 Queers of every letter - from Lesbian, Gay, Bisexual to Transmen and Transwomen - attended the event. People identifying as queer and some straight allies were also present. 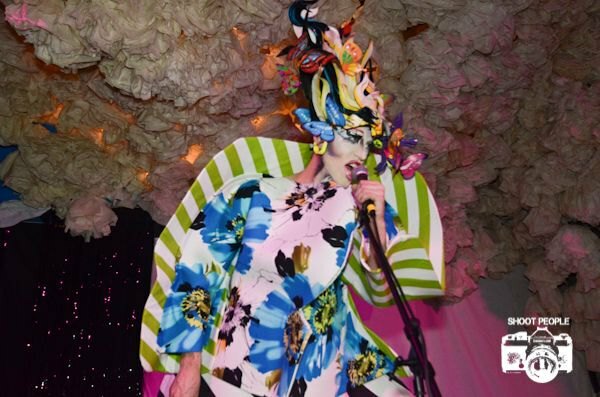 It was refreshing and exciting to see so many people from all over the LGBTQ spectrum both performing and sharing in the uniqueness and talent that makes up the Brooklyn nightlife scene, creating a new version of homonormative artistic space to which only Brooklyn can lay claim. 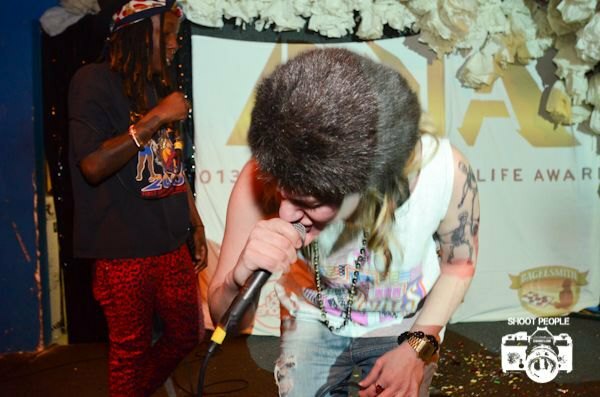 Sponsors for the event included One Last Shag in Bedstuy, Sugarland, Nightclub in Williamsburg, and Bagelsmith. And I’m proud to point out that Bushwick Daily was one of the nominees in the category The Best Publisher.